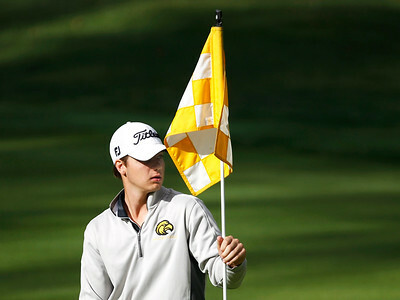 Matthew Apgar - mapgar@shawmedia.com Jacobs' Billy Walker holds the flag on the 4th hole green during their Fox Valley Conference boys golf tournament at Prairie Isle Golf Club on Thursday, Oct. 01, 2015 in Prairie Grove. 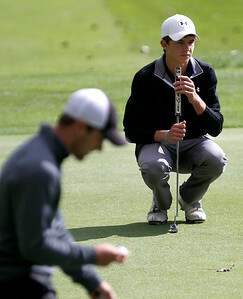 Matthew Apgar - mapgar@shawmedia.com Jacobs' Justin Lenzini, left, and Kyle Irlbacker of Cary-Grove tend to their putts on the 8th green during their Fox Valley Conference boys golf tournament at Prairie Isle Golf Club on Thursday, Oct. 01, 2015 in Prairie Grove. 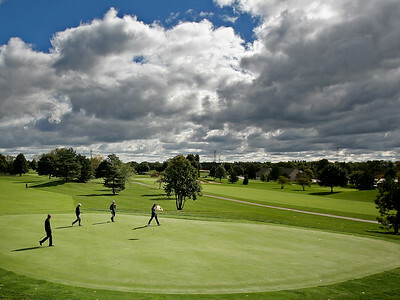 Matthew Apgar - mapgar@shawmedia.com From left: Cary-Grove's Kyle Irlbacker, Crystal Lake Central's Zach Tuzsynski, Prairie Ridge's Ethan Farnham,, and Jacobs' Justin Lenzini take turns on the 8th hole green during their Fox Valley Conference boys golf tournament at Prairie Isle Golf Club on Thursday, Oct. 01, 2015 in Prairie Grove. Matthew Apgar - mapgar@shawmedia.com From left: Prairie Ridge's Ethan Farnham, Cary-Grove's Kyle Irlbacker, Crystal Lake Central's Zach Tuzsynski, and Jacobs' Justin Lenzini find their balls on the 8th hole green during their Fox Valley Conference boys golf tournament at Prairie Isle Golf Club on Thursday, Oct. 01, 2015 in Prairie Grove. Matthew Apgar - mapgar@shawmedia.com Justin Lenzini of Jacobs follows through with his drive off of the 5th hole tee during their Fox Valley Conference boys golf tournament at Prairie Isle Golf Club on Thursday, Oct. 01, 2015 in Prairie Grove. 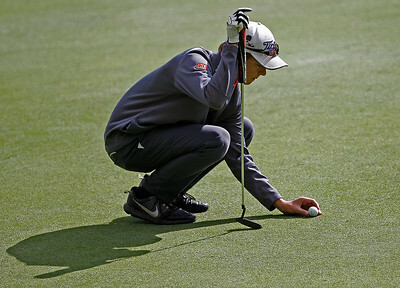 Matthew Apgar - mapgar@shawmedia.com Zachary Tuszynski of Crystal Lake Central reacts after driving the ball from the 5th hole tee during their Fox Valley Conference boys golf tournament at Prairie Isle Golf Club on Thursday, Oct. 01, 2015 in Prairie Grove. Matthew Apgar - mapgar@shawmedia.com Prairie Ridge's Ethan Farnham lines up his shot on the 4th hole green during their Fox Valley Conference boys golf tournament at Prairie Isle Golf Club on Thursday, Oct. 01, 2015 in Prairie Grove. 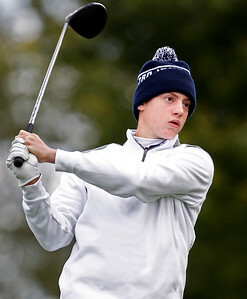 Matthew Apgar - mapgar@shawmedia.com Cary-Grove's Kyle Irlbacker follows through after driving the ball from the 6th hole tee during their Fox Valley Conference boys golf tournament at Prairie Isle Golf Club on Thursday, Oct. 01, 2015 in Prairie Grove. 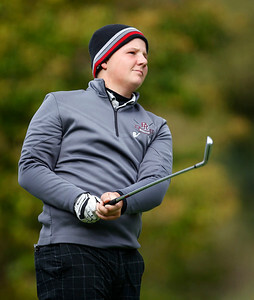 Matthew Apgar - mapgar@shawmedia.com Cameron Karney of Prairie Ridge keeps his eyes on the ball after driving it from the 6th hole tee during their Fox Valley Conference boys golf tournament at Prairie Isle Golf Club on Thursday, Oct. 01, 2015 in Prairie Grove. Matthew Apgar - mapgar@shawmedia.com Billy Walker of Jacobs follows through on his drive off of the 6th hole tee during their Fox Valley Conference boys golf tournament at Prairie Isle Golf Club on Thursday, Oct. 01, 2015 in Prairie Grove. 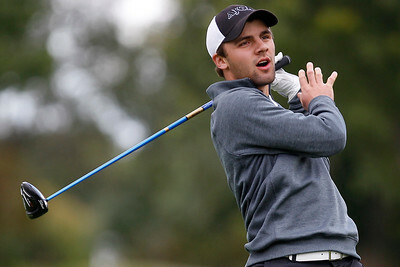 Matthew Apgar - mapgar@shawmedia.com Cary-Grove's Zach Beaugureau watches his ball after driving it from the 5th hole tee during their Fox Valley Conference boys golf tournament at Prairie Isle Golf Club on Thursday, Oct. 01, 2015 in Prairie Grove. 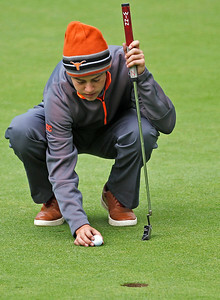 Matthew Apgar - mapgar@shawmedia.com Maverick Edwards of Crystal Lake Central lines up his putt on the 4th hole green during their Fox Valley Conference boys golf tournament at Prairie Isle Golf Club on Thursday, Oct. 01, 2015 in Prairie Grove. 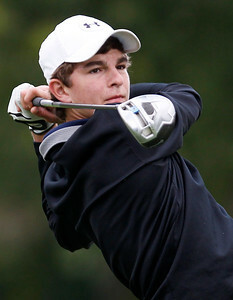 Matthew Apgar - mapgar@shawmedia.com Cary-Grove's Kyle Irlbacker lines up his shot on the 4th hole green during their Fox Valley Conference boys golf tournament at Prairie Isle Golf Club on Thursday, Oct. 01, 2015 in Prairie Grove. 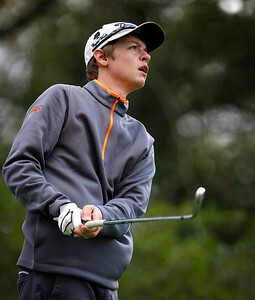 Matthew Apgar - mapgar@shawmedia.com Zachary Tuszynski of Crystal Lake Central keeps his eyes on the ball after driving it from the 9th hole tee during their Fox Valley Conference boys golf tournament at Prairie Isle Golf Club on Thursday, Oct. 01, 2015 in Prairie Grove. Matthew Apgar - mapgar@shawmedia.com Cameron Karney of Prairie Ridge lines up his shot on the 4th hole green during their Fox Valley Conference boys golf tournament at Prairie Isle Golf Club on Thursday, Oct. 01, 2015 in Prairie Grove. Matthew Apgar - mapgar@shawmedia.com Zachary Tuszynski of Crystal Lake Central chips over the water hazard on the 4th hole during their Fox Valley Conference boys golf tournament at Prairie Isle Golf Club on Thursday, Oct. 01, 2015 in Prairie Grove. 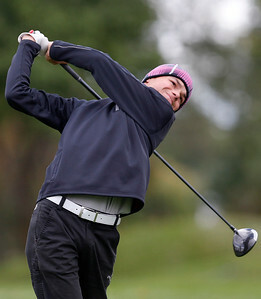 Matthew Apgar - mapgar@shawmedia.com Cary-Grove's Kyle Irlbacker follows through after driving the ball from the 5th hole tee during their Fox Valley Conference boys golf tournament at Prairie Isle Golf Club on Thursday, Oct. 01, 2015 in Prairie Grove. 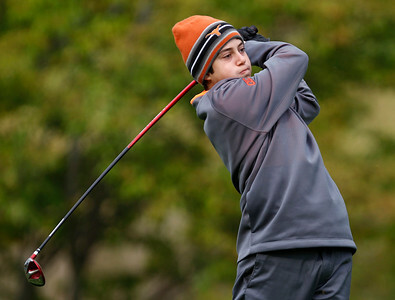 Matthew Apgar - mapgar@shawmedia.com Zachary Tuszynski of Crystal Lake Central follows through after driving the ball from the 6th hole tee during their Fox Valley Conference boys golf tournament at Prairie Isle Golf Club on Thursday, Oct. 01, 2015 in Prairie Grove. 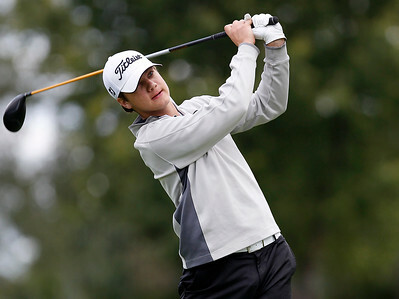 Matthew Apgar - mapgar@shawmedia.com Cameron Karney of Prairie Ridge keeps his eyes on the ball after driving it from the 5th hole tee during their Fox Valley Conference boys golf tournament at Prairie Isle Golf Club on Thursday, Oct. 01, 2015 in Prairie Grove. Matthew Apgar - mapgar@shawmedia.com Maverick Edwards of Crystal Lake Central follows through with a drive off of the 5th hole tee during their Fox Valley Conference boys golf tournament at Prairie Isle Golf Club on Thursday, Oct. 01, 2015 in Prairie Grove. Matthew Apgar - mapgar@shawmedia.com Prairie Ridge's Ethan Farnham follows through with his swing after driving the ball from the 4th hole tee during their Fox Valley Conference boys golf tournament at Prairie Isle Golf Club on Thursday, Oct. 01, 2015 in Prairie Grove. 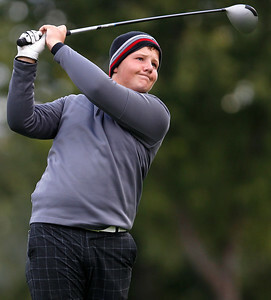 Matthew Apgar - mapgar@shawmedia.com during their Fox Valley Conference boys golf tournament at Prairie Isle Golf Club on Thursday, Oct. 01, 2015 in Prairie Grove. 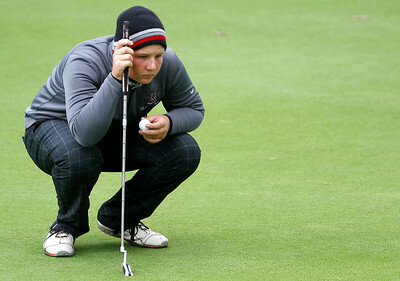 Matthew Apgar - mapgar@shawmedia.com Cary-Grove's Zach Beaugureau watches his ball after driving it from the 6th hole tee during their Fox Valley Conference boys golf tournament at Prairie Isle Golf Club on Thursday, Oct. 01, 2015 in Prairie Grove. 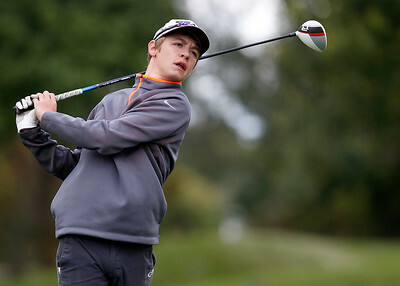 Matthew Apgar - mapgar@shawmedia.com Zachary Tuszynski of Crystal Lake Central reacts after driving the ball from the 6th hole tee during their Fox Valley Conference boys golf tournament at Prairie Isle Golf Club on Thursday, Oct. 01, 2015 in Prairie Grove. Matthew Apgar - mapgar@shawmedia.com Prairie Ridge's Ethan Farnham follows through with his swing after driving the ball from the 5th hole tee during their Fox Valley Conference boys golf tournament at Prairie Isle Golf Club on Thursday, Oct. 01, 2015 in Prairie Grove. Matthew Apgar - mapgar@shawmedia.com Zachary Tuszynski of Crystal Lake Central lines up his shot on the 8th hole green during their Fox Valley Conference boys golf tournament at Prairie Isle Golf Club on Thursday, Oct. 01, 2015 in Prairie Grove. 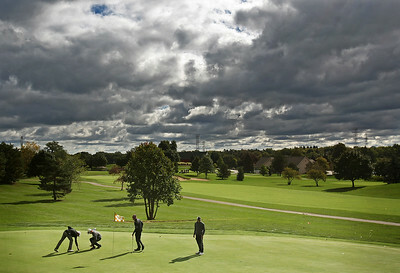 Jacobs' Justin Lenzini, left, and Kyle Irlbacker of Cary-Grove tend to their putts on the 8th green during their Fox Valley Conference boys golf tournament at Prairie Isle Golf Club on Thursday, Oct. 01, 2015 in Prairie Grove.